‘Superkilen’ is a kilometer long park situated through the Nørrebro area just north of Copenhagen’s City Centre, considered one of the most ethnically diverse and socially challenged neighborhoods in the danish capital as it is home to more than 60 nationalities. 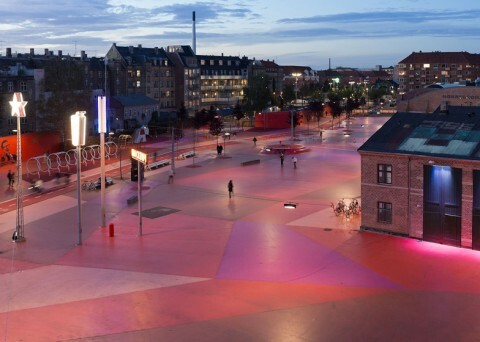 ‘Superkilen’ is defined by three color-coded areas, each offering distinctive functions and atmospheres, and stands as a vehicle of integration for the cultures represented by the area. The project development involved the inhabitants within the design process by conducting public meetings as well as providing a ‘suggestions box’ for the public to submit their ideas for the urban proposal.